Hocknulls Taybrite Isle of Wight. 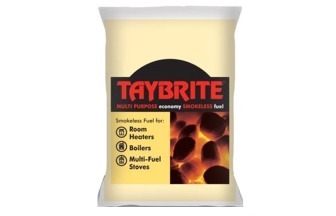 Taybrite is a smokeless fuel for room heaters, multi-fuel appliances and boilers. It produces high heat, clean burning, easy to light and low ash. Suitable for Room Heaters, Boilers and Multi-Fuel Stoves.